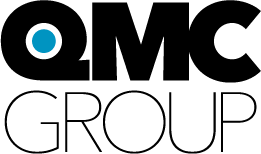 Why use The QMC Group? The QMC Group is equipped with state-of-the-art equipment and has an equally capable as well as experienced team which not only works to provide the best solutions within the industry but also understands complex order requirements with ease. Turn your printed publication into a digital one. We offer a variety of options for desktop computer, phone and tablet. Create a mobile friendly Digital Edition or stand alone app that can be used on iOS, Android and Kindle Fire devices. Traditional marketing tools have to work harder these days. Whether you are looking for a one-of-kind Direct Mail piece or to combine traditional tactics with interactive media, The QMC Group will help you stay ahead of the curve! An Internet-based solution for organizations with franchises, multiple locations, or a decentralized sales staff, The QMC Group can set up a storefront for your “print on demand” needs, or for any product that needs to be purchased and paid for online. We offer bulk warehousing, pick and pack, kitting, hand assembly, inventory take over programs, obsolescence control, and customer support. With our bindery, we can complete almost any job in-house, saddle stitching, gate folding, shrink wrapping, and more!